The story of the successful campaign for women’s suffrage sank into obscurity until rediscovered in the 1970s. 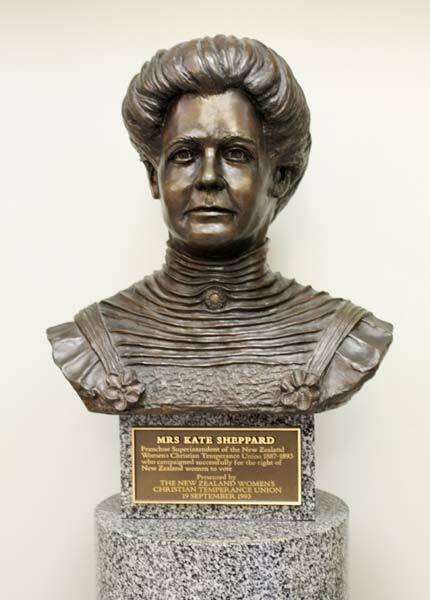 A result of this renewed interest was the celebration of Kate Sheppard, leader of the campaign. In the following decades statues were erected, an apartment building opposite Parliament was named after her, and her face appeared on a bank note. The bust shown here was presented by the Women’s Christian Temperance Union to the New Zealand Parliament in 1993 (the centenary of women gaining the vote).